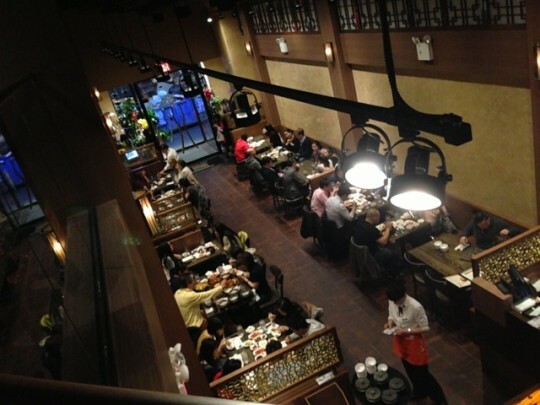 Another day, another post of Manhattan food. 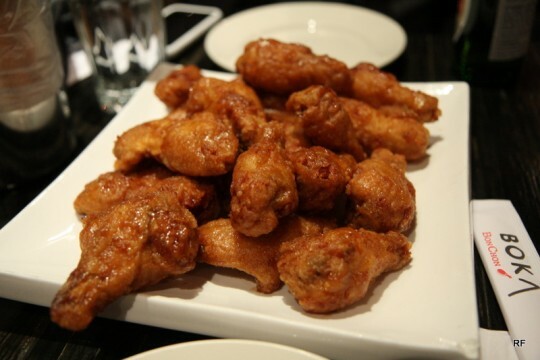 BonChon 20 “wings” plate. I’d say they are more like drumettes. 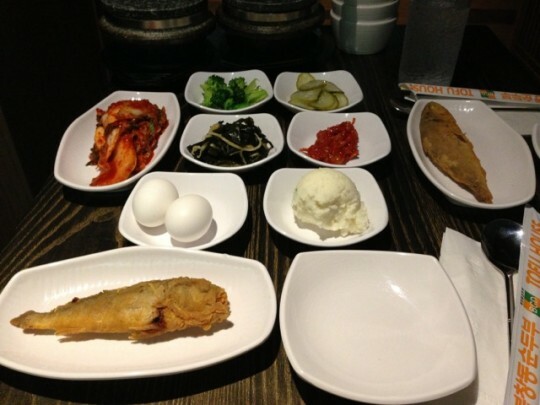 Sorry Bay Area, but this is Korean Fried Chicken done right. I thought this was part of Upper West Side (UWS), but apparently it’s so far up North that it’s considered Manhattan Valley on Yelp. 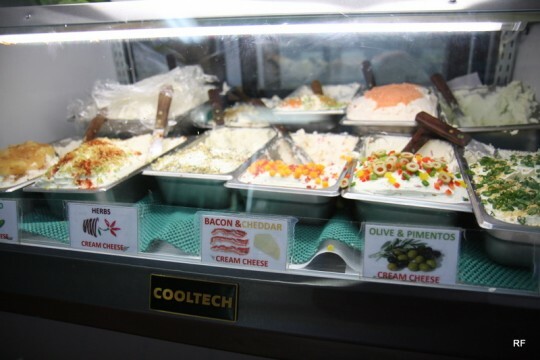 Don’t be surprised – I went for the Bacon & Cheddar cream cheese. I decided to try the Garlic instead of Everything. 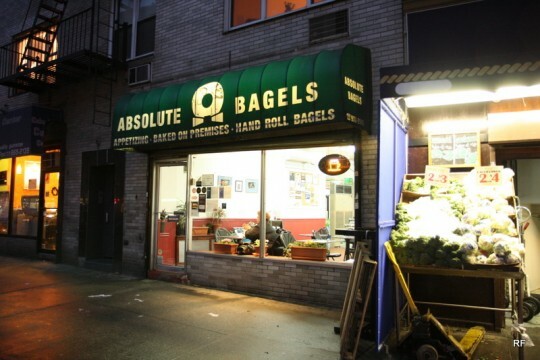 Not so apparent in this picture, but size-wise, Absolute Bagels is a bit smaller than other bagel shops. This bagel pictured was toasted and was a lot harder (stiffer?) than I would have liked. 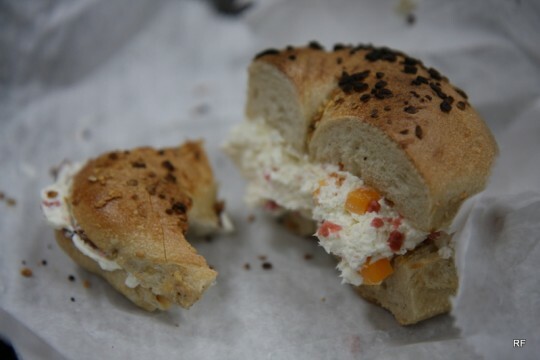 The cream cheese spread, as you can see, is pretty ridiculous in it’s own right. The giant chunks of cheddar and bacon visually overpower the cream cheese. Maybe I shouldn’t say this, but I went back to the halal cart. This would be the 2nd time within a few days. 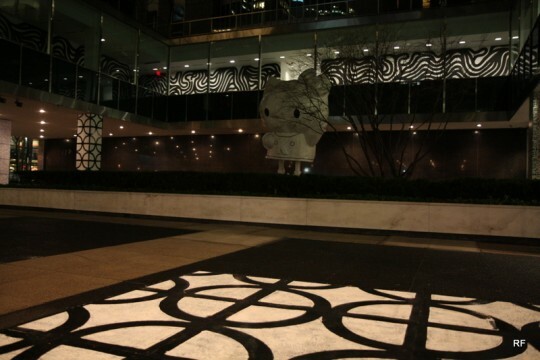 On the way to the cart, I took the scenic route and came across the Lever House. Seeing a large Hello Kitty, I had no choice but to stop for a moment. Coming from the west coast, I had to give White Castle a try. 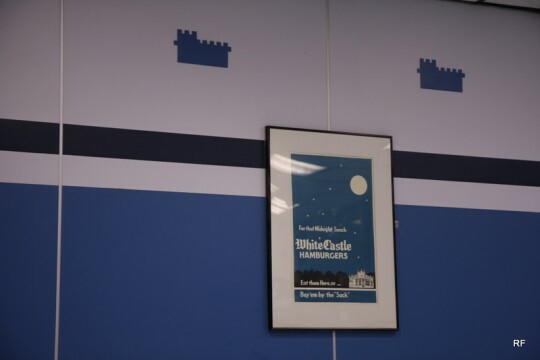 They have all sorts of retro posters, some proclaiming White Castle as part of a balanced diet. OK, so it is fast food after all. 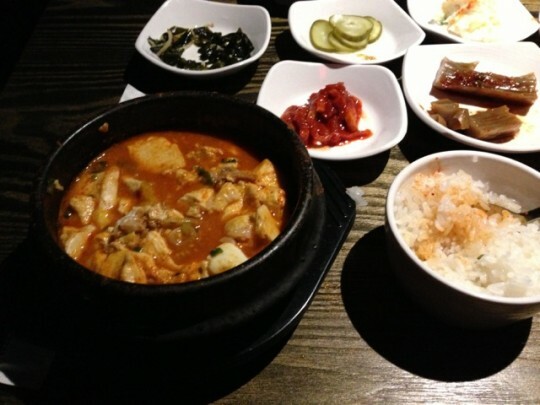 Fast food tends to be cheap, fast, and unhealthily tasty. 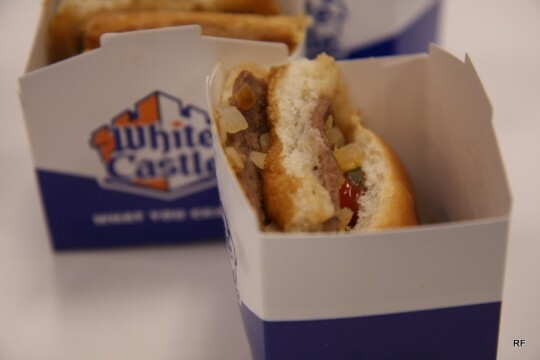 White Castle was none of these for me. 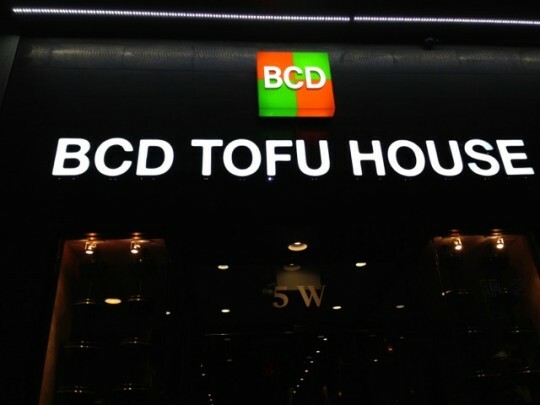 I mean, I would expect it to be tasty (by fast food standards) and not much more. I only had two of these sliders, and I can’t imagine “grabbing a sack” of these to eat. This entry was posted in Culture, Food and tagged absolute bagels, bacon and cheddar, bonchon, brooklyn, double cheeseburgers, east side, food cart, fried chicken, korean, lever house, manhattan, manhattan valley, white castle on January 24, 2010 by Rex.